During Comic-Con this past weekend, ABC announced a couple of additions to the cast for the new season of Once Upon a Time. 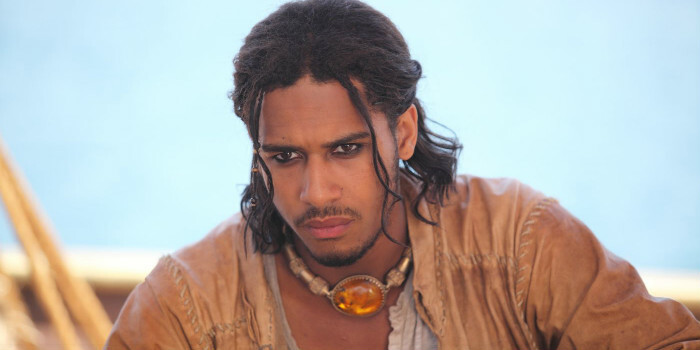 One of them was Elliot Knight, known for being the Black Sinbad in the BBC series Sinbad. Now he’ll lay claim to being the Black Merlin for the new season of Once Upon a Time. And the Merlin character is integral to the plot in the upcoming season. According to Deadline, the upcoming season will center on the Savior, Emma Swan (Jennifer Morrison), becoming the new Dark One, and the search for Merlin, who is the only one who can save her. Knight was also in several episodes of How to Get Away with Murder and will appear in the upcoming film, Take Down.